Verdict: 3.75 / 5Absolutely worth following in the future to see where they take this, for Skyward the only way is up from here on out. 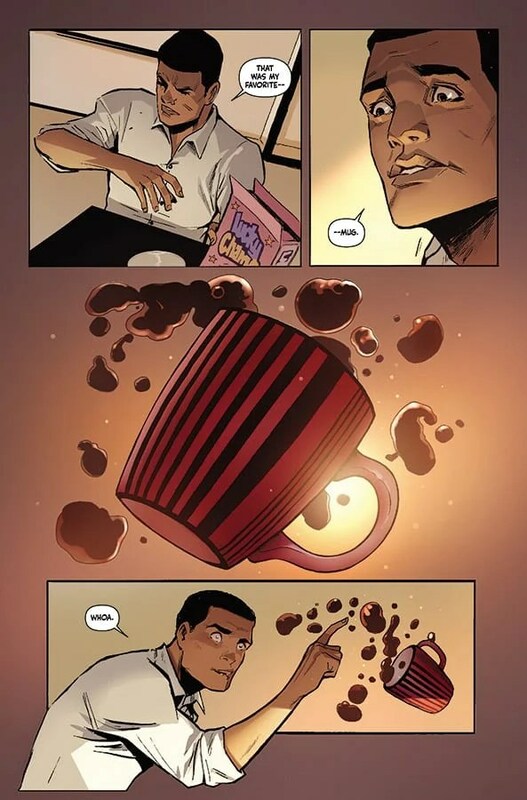 Image’s Skyward features a unique premise that certainly promises a lot of potential. Although issue one does a good job of setting up our world and lead characters, it perhaps leaves a lot to be desired in terms of using that unique premise. The sky is certainly not the limit for this title, but using future episodes to continue to flesh out its characters and world is absolutely wise. Skyward #1 shows a flashback sequence that nicely sets up the father, daughter dynamic that we should come to expect from this series. Creating G-Day, where gravity is taken away, we find that our normal world has literally been turned upside down, as people float about and no longer walk upon the Earth. Fast forward to modern day and we find how humanity has coped with this. The jobs remain relatively the same it would appear although there is a suggestion that humanity went through crises after this world-changing event. Whilst some seem to benefit from the changes, others clearly long for an Earth that is much more familiar to us. The supporting cast is barely introduced to us, however, we do get to meet Willa, a delivery woman who seems to have a penchant for danger and desires adventure and the ability to travel the world. Her abilities are briefly highlighted as she navigates the skies using a gun to propel herself. Her friend Edison is also of interest. Old enough to remember life before G-Day, Edison is one of those who has benefitted from the change due to not having legs and therefore being able to still move freely without gravity. It appears some of the kinks in the concept have not be ironed out yet, but there must be strict exercise regimes for everyone to keep human bodies functioning. What’s more, those who have grown up with the world the way it is, seem to have a significant advantage over those who lived in the previous world. Willa’s father is even described as having a condition, which may be traced back to the change in the Earth’s gravity. 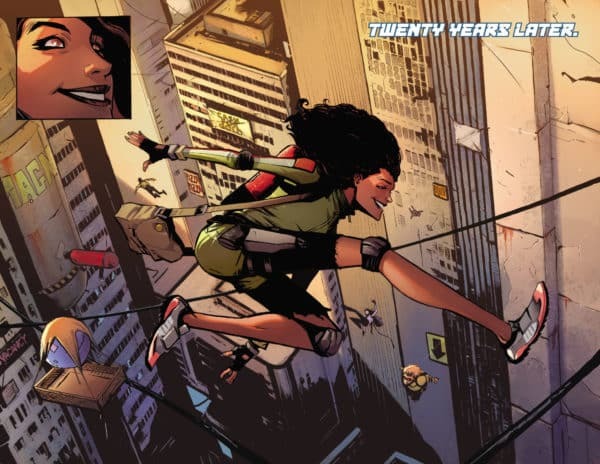 The wheels of this narrative have only started turning as we reach the conclusion of Skyward #1. The biggest question is how the Earth has changed and how Willa and her family play into Earth’s future. But, the ending is intriguing enough to allow for continued reading past the first chapter of this brand new title. Although, I hope that the status quo regarding this alternate Earth remains the same for some time, as I fear removing this feature with significantly lesson this title already. 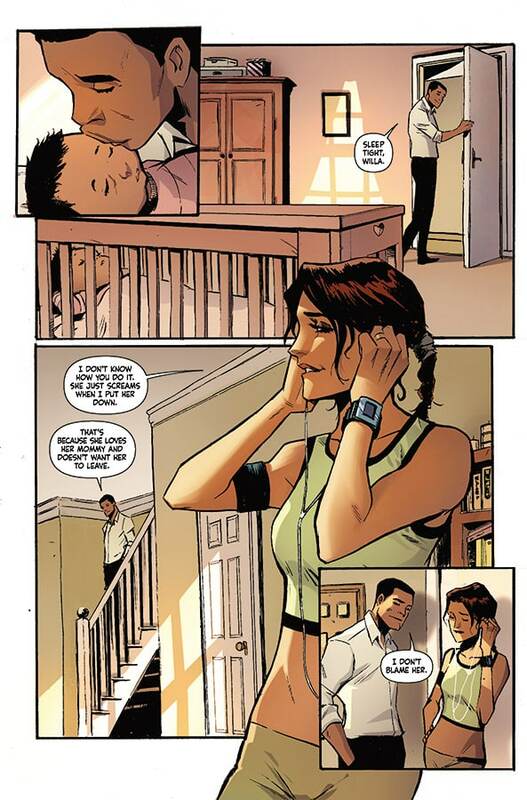 With a lot of promise but a long way to go, and artwork that is crisp and direct, the creative team of Joe Henderson and Lee Garbett have cooked up an interesting book with Skyward #1.